She cuts quite a figure. 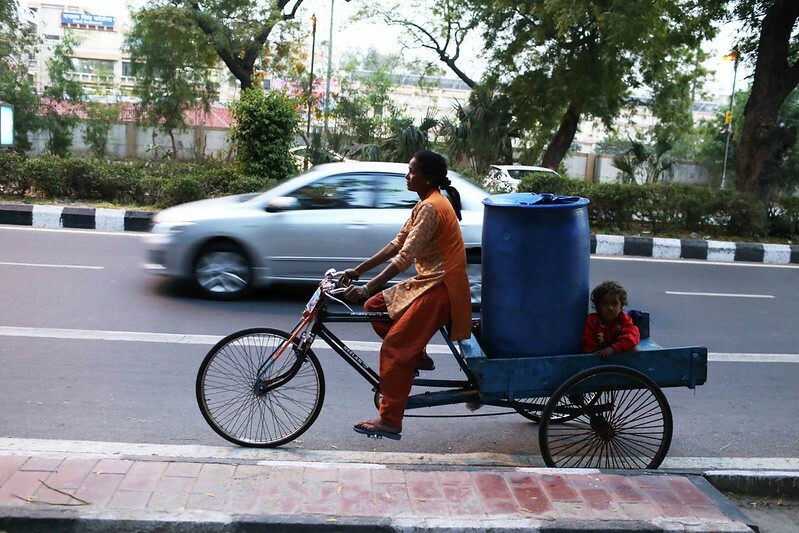 A woman riding a cart all by herself — very often a little child is seen sitting on the cart while she pedals along. This is a rare sight in Delhi and each time The Delhi Walla spots Salma — and it is always on Lodhi Road — I instinctively look again to confirm the sight. Once I saw plastic flowers decked around her pull cart’s handle bar. 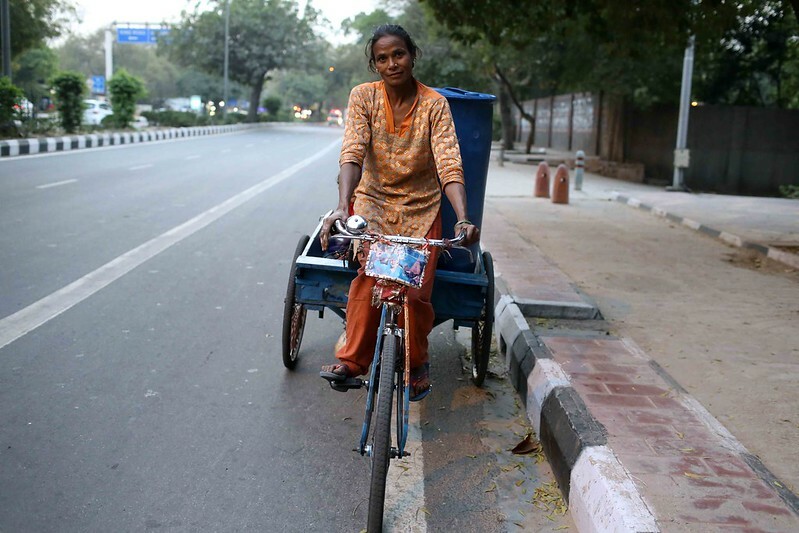 Quite a few residents of upscale Nizamuddin East, a nearby neighbourhood, have also spotted Salma with her cart around the same place in central Delhi and they all told me of being struck by her presence. In some ways, Salma appears to be a suitable feminist icon. 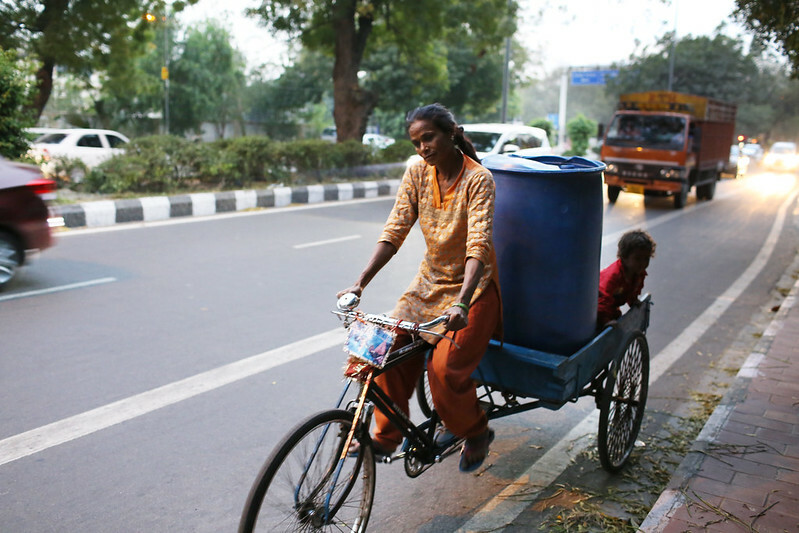 She lives without a man, is a single parent and earns her independent living (4,000 rupees monthly) by supplying water from a tube well to two public toilets in the Lodhi Road area. That is just one part of the story, however. 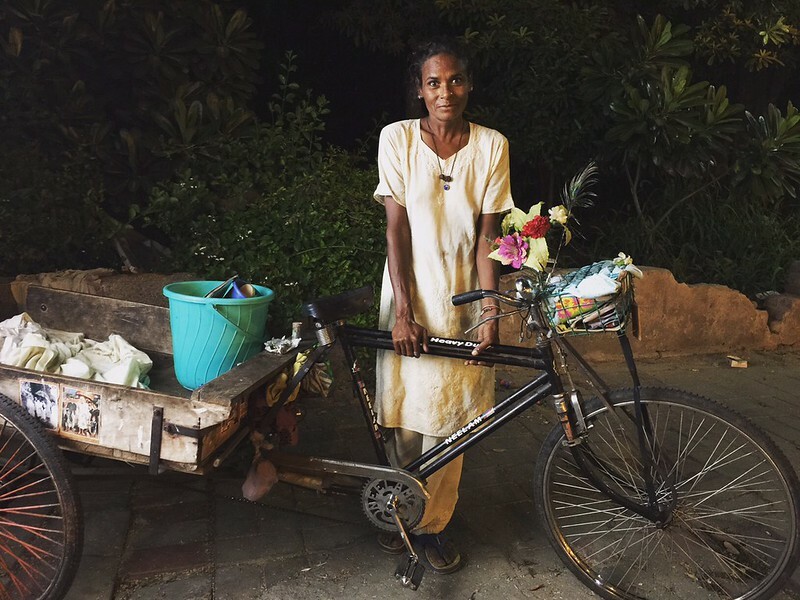 One evening, while carrying a giant water drum on her cart to a public toilet near Oberoi Hotel flyover, Salma spotted me and immediately pulled the breaks — it was unusual because she mostly keeps to herself and had once politely declined to talk to me. This time though she easily answered all my queries about her life. It turned out that Salma’s biography was more about circumstances than choices. Although she is unique, her situation may illustrate the hard lives of thousands of women in this city sharing her economic and social situation. Salma has no house, but once she had a home with a roof, an illegal shanty on the banks of the Yamuna. It was demolished years ago by government authorities. 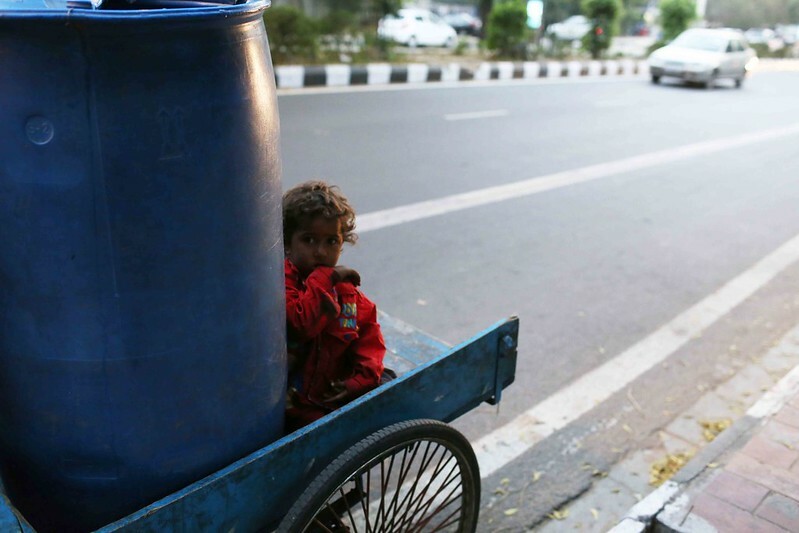 Since then she has been sleeping on a pavement near Sai Baba temple on Bhishm Pitamah Road with her youngest daughter Muskan — the child often seen on the cart. Salma’s husband, Sheikh Kaloo, died of alcohol abuse a few years ago. She has four other children. Three live in schools run by NGOs. One of her boys mysteriously disappeared a couple of years ago when he was six. On finally walking back to her cart, Salma flashed a farewell smile so uninhibited and spontaneous that you might imagine she were leaving a friend’s drawing room after a pleasant meal. My heart aches for my sisters across the world who have such hard lives, so much tragedy and lack the things I consider basics for my existence. what future for her little girl? :'( Painful and simultaneously inspiring. I want to give her a BIG HUG.